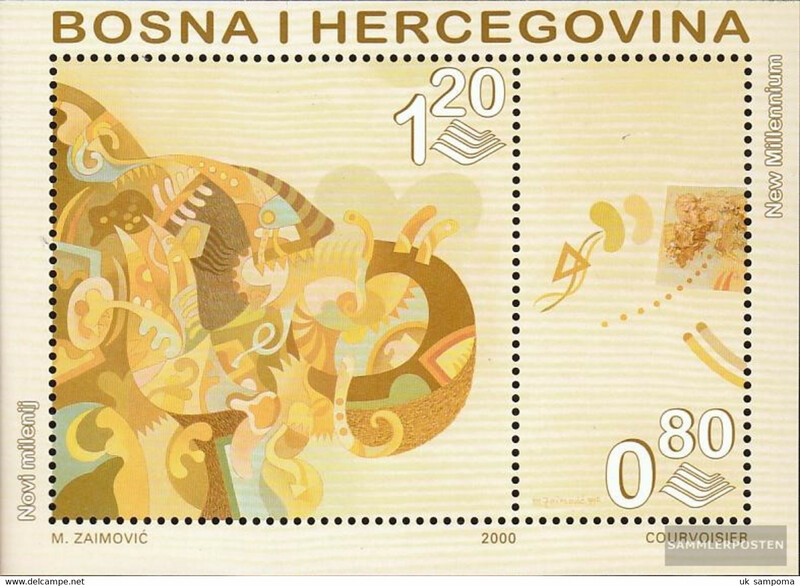 N81- Bosnia & Hercegovina 2007 domestic animals Cow donkey sheep Squirrel. 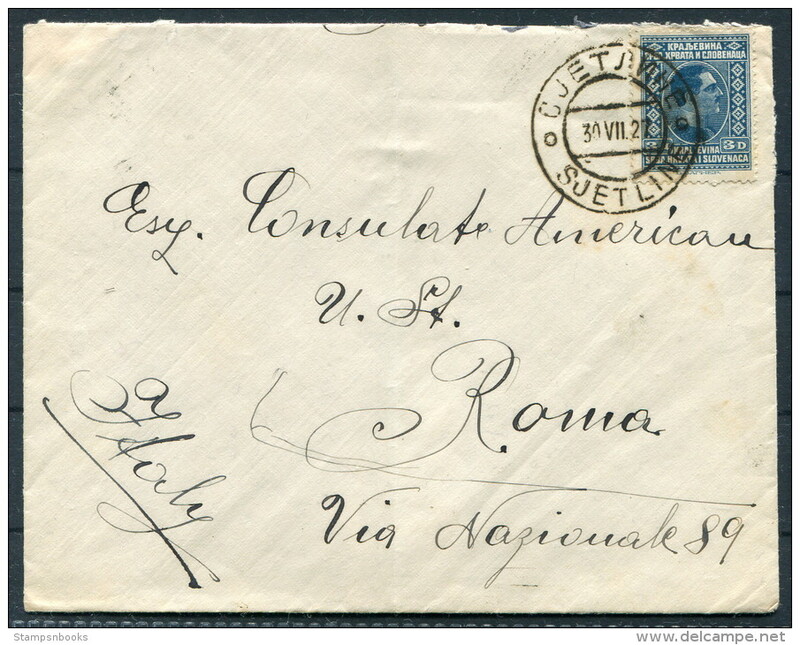 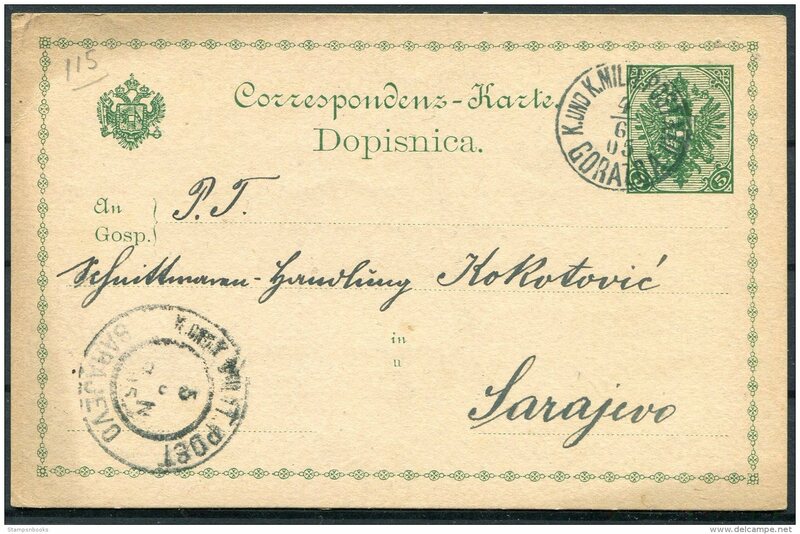 1905 Bosnia Stationery postcard. 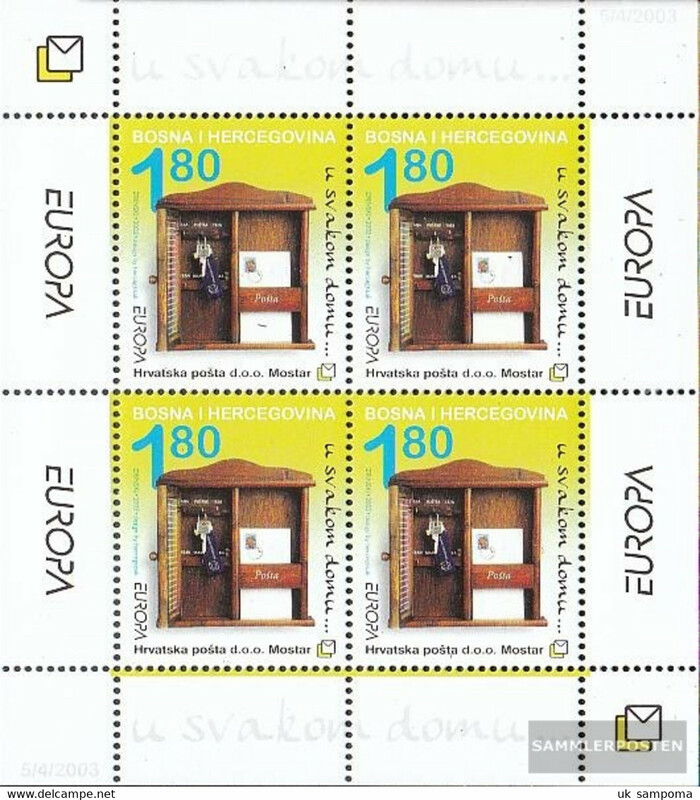 Feldpost Fieldpost Military Gorazda Militarpost - Sarajevo. 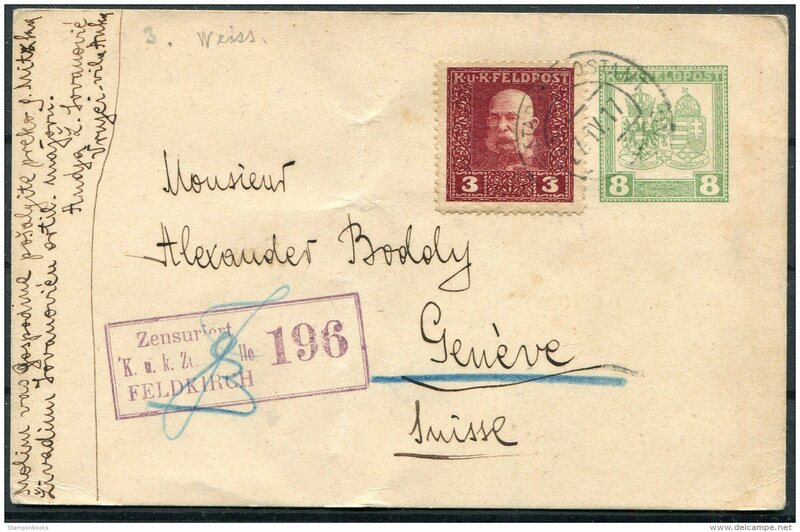 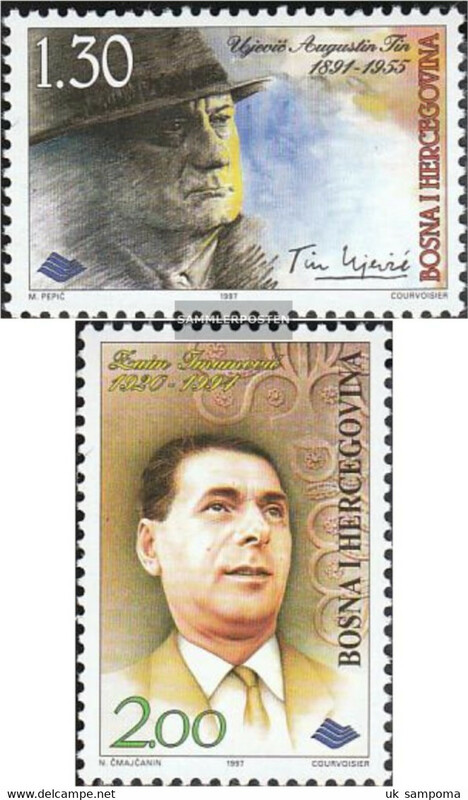 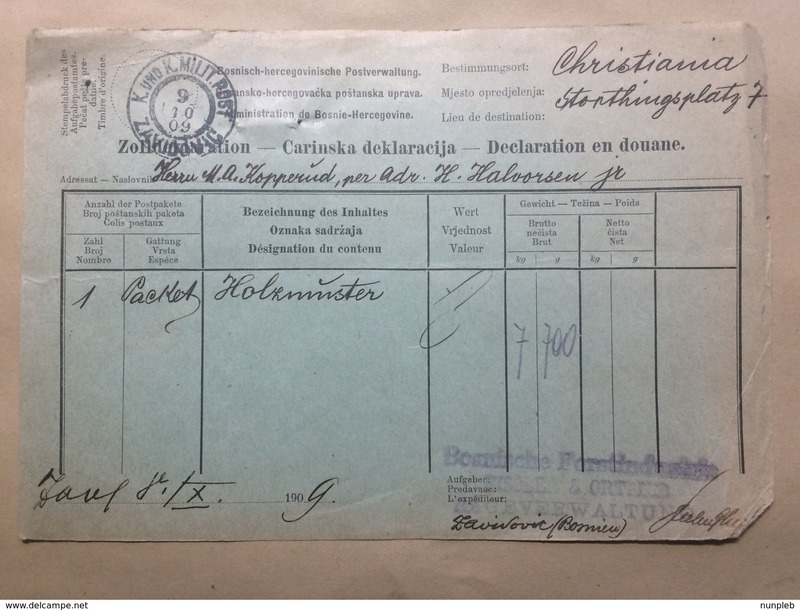 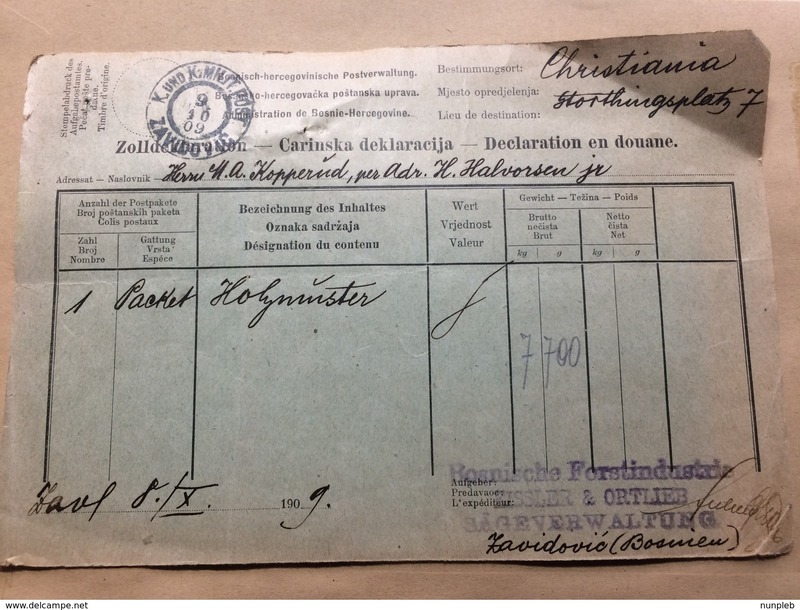 Bosnie-Herzegovine - 1912 - 45 . 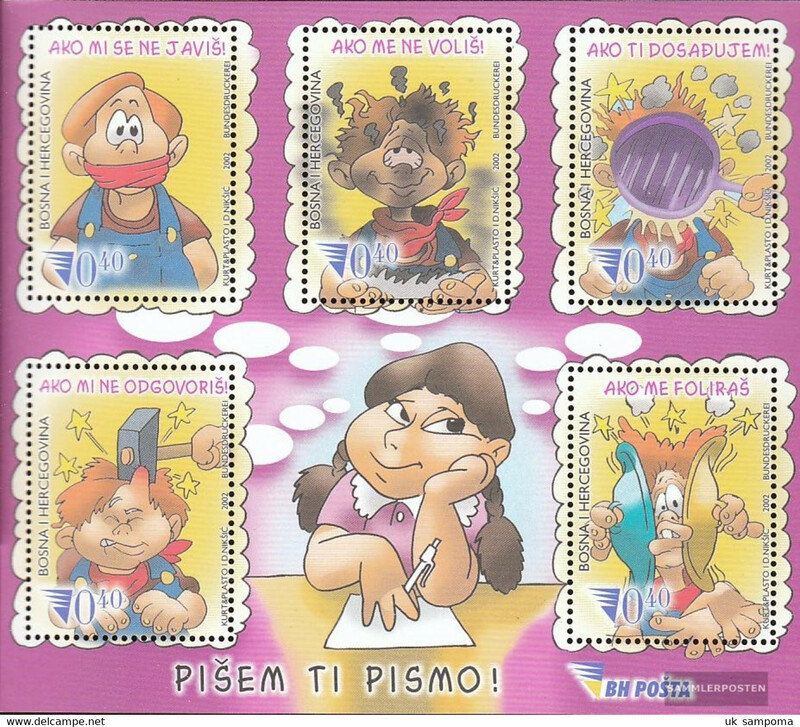 - C.X.C. 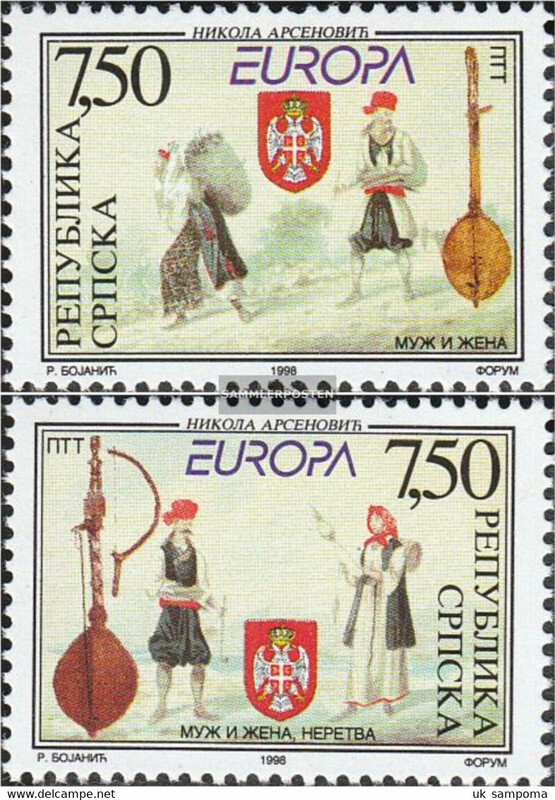 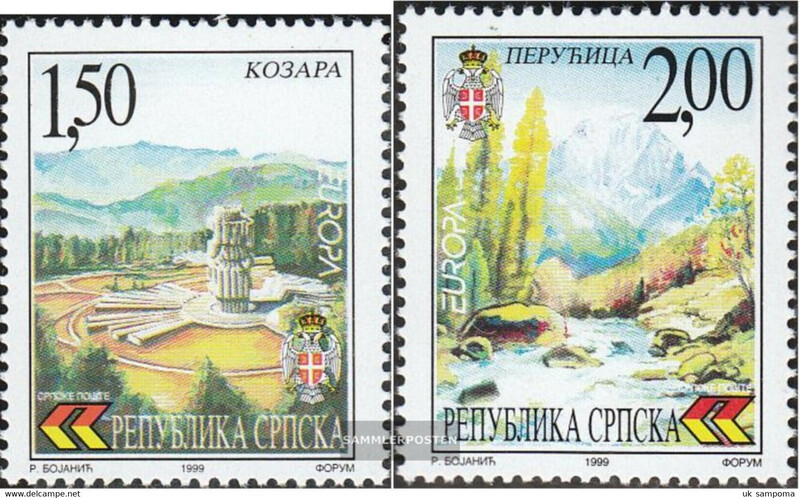 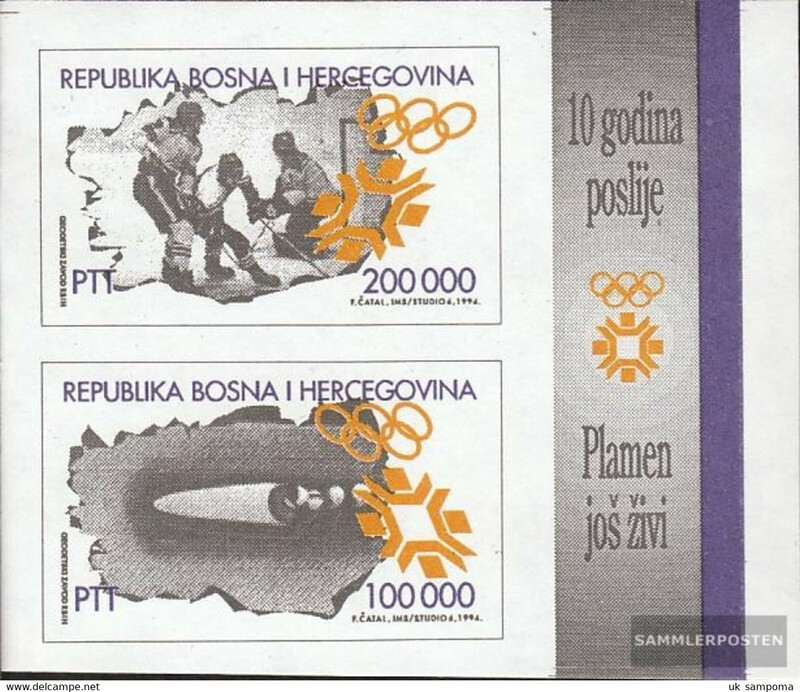 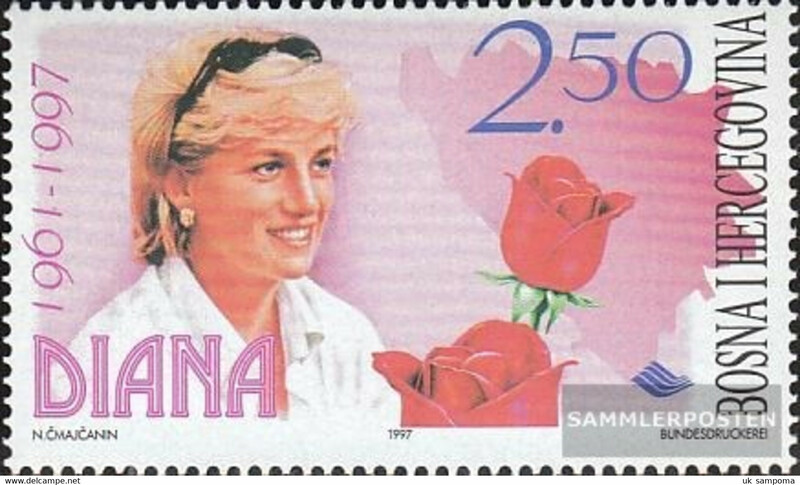 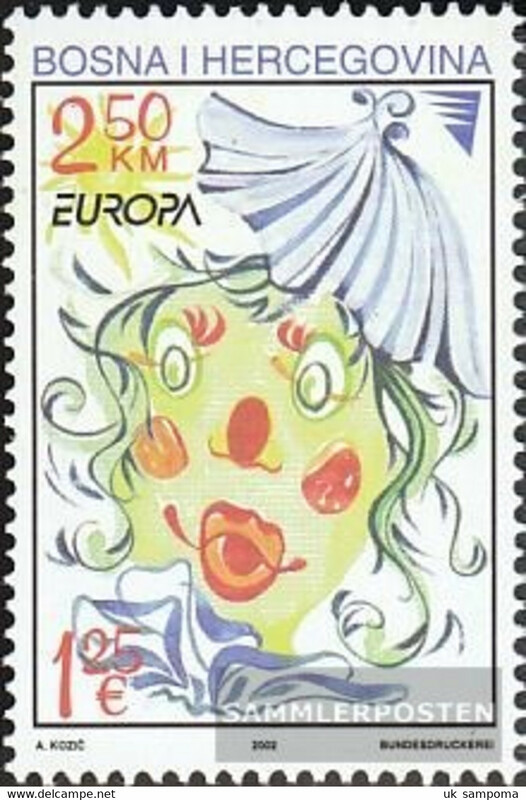 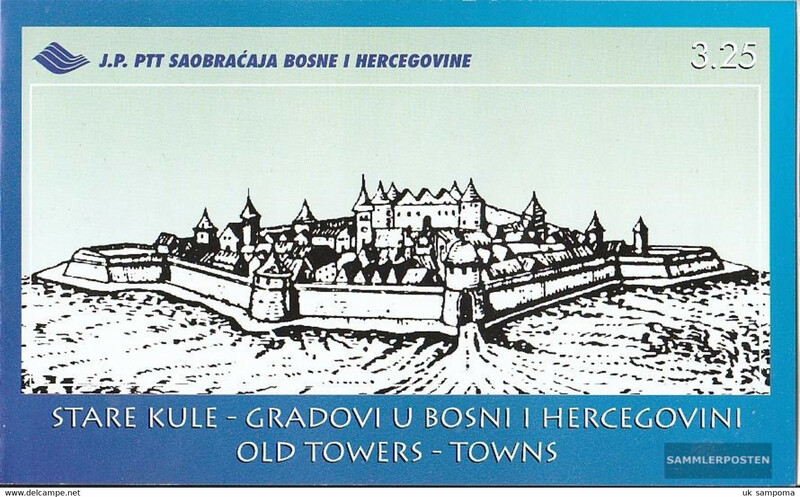 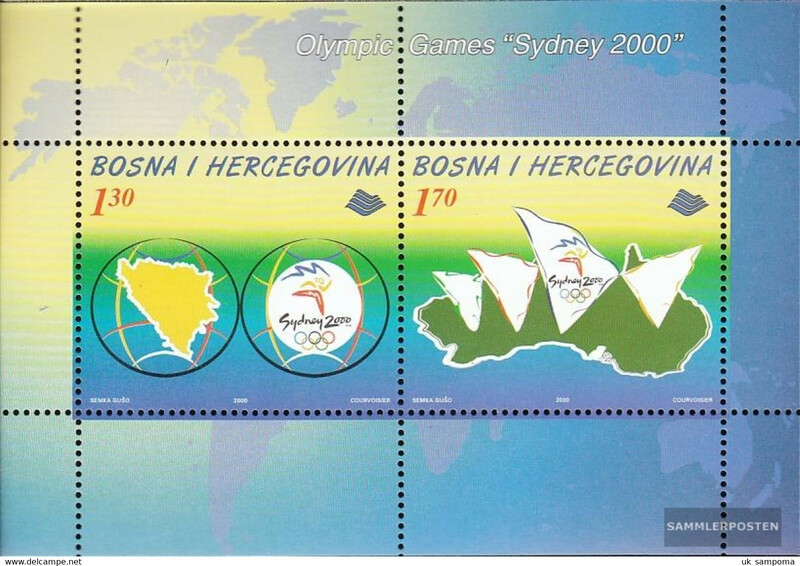 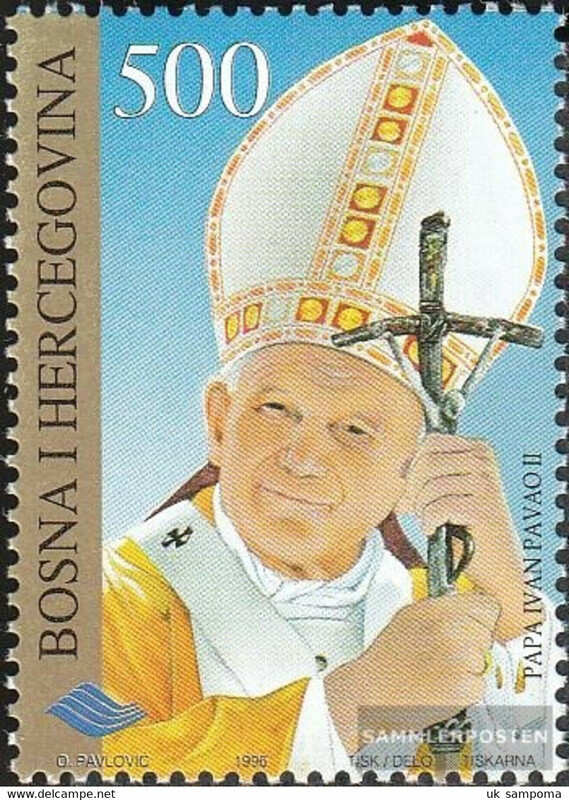 Bosnia-Herzegovina 76 (complete issue) unmounted mint / never hinged 1996 Visit Pope Johannes Paul II. 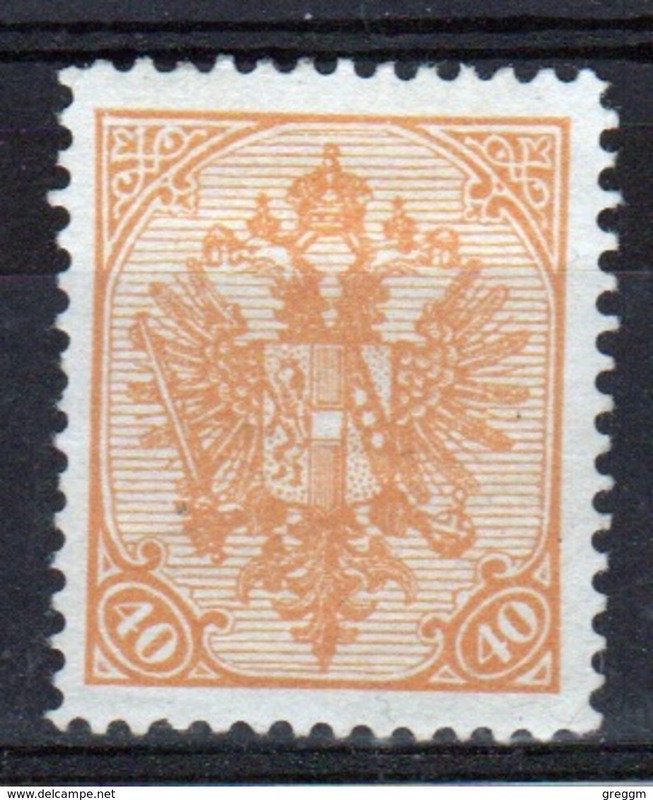 Bosnia 1900 Military Post 40 Heller Orange stamp in mounted mint condition with value in bottom corners. 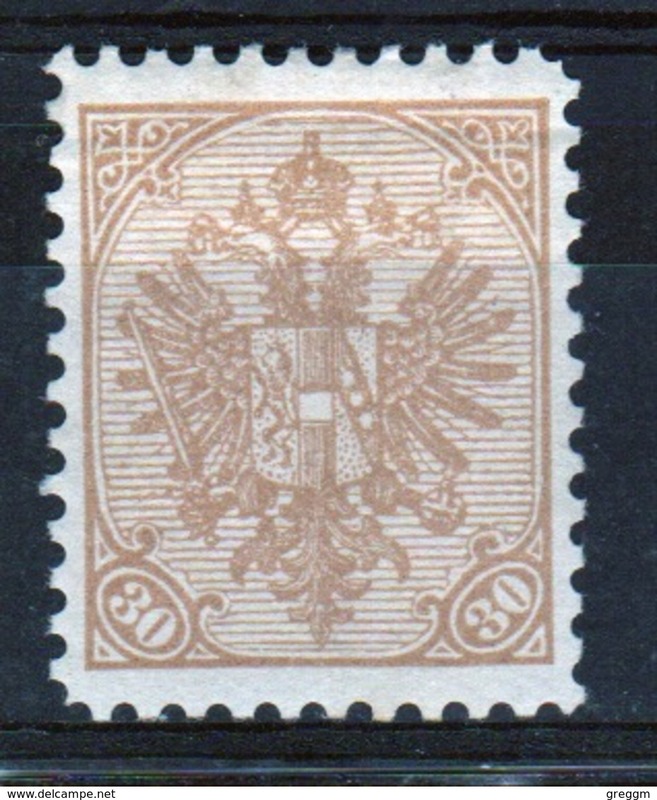 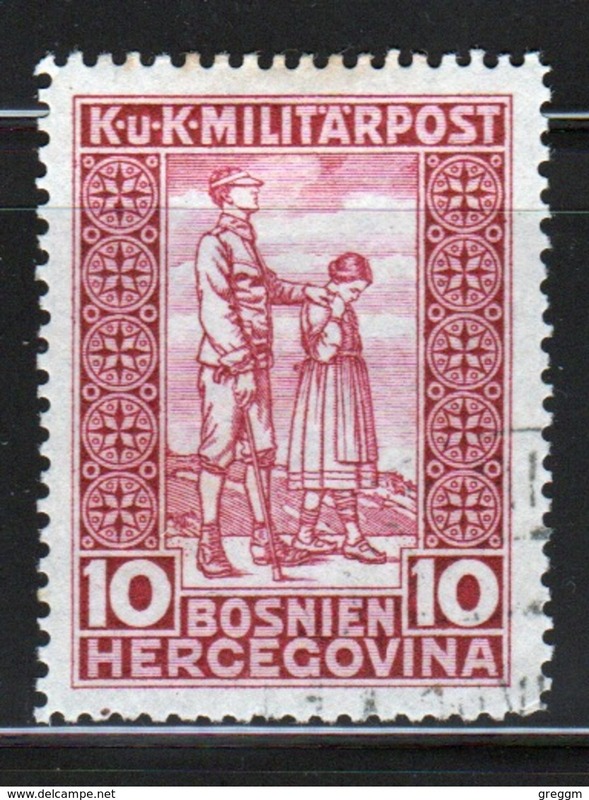 Bosnia 1900 Military Post 30 Heller Brown stamp in mounted mint condition with value in bottom corners. 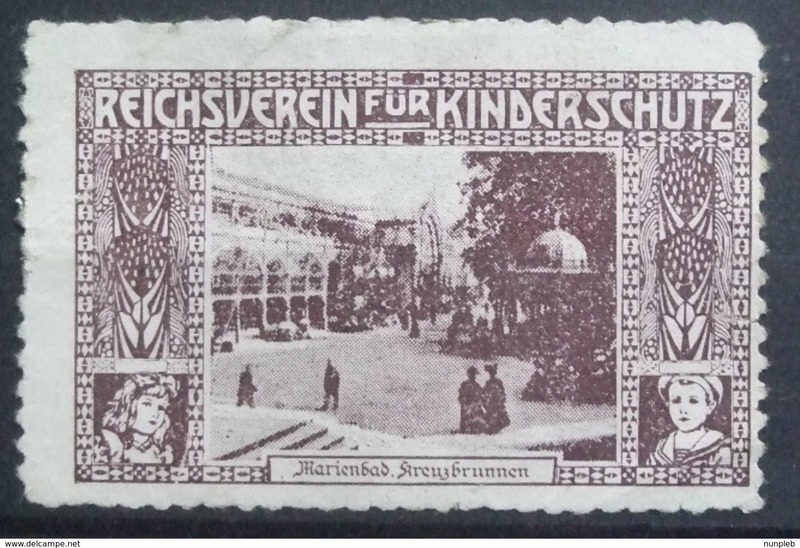 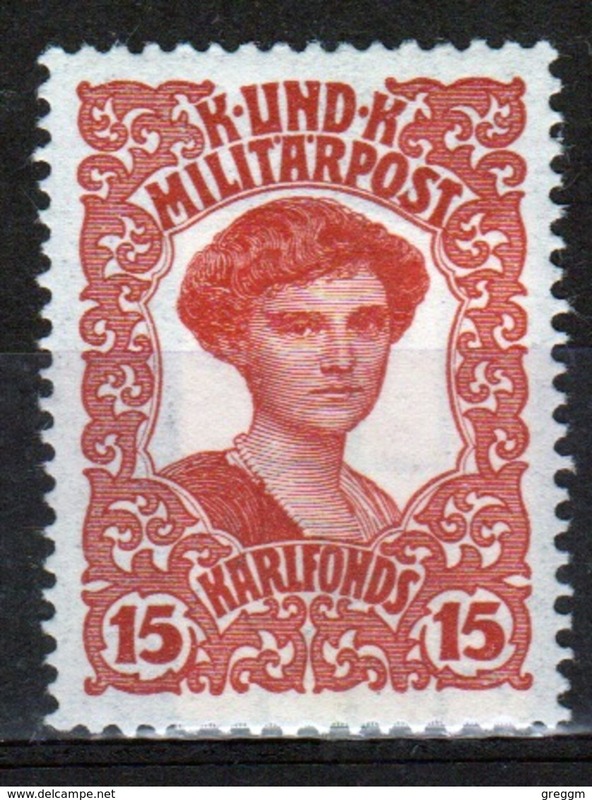 Bosnia 1918 Military Post 15 Heller Brown War Invalid's Fund stamp in mounted mint condition. 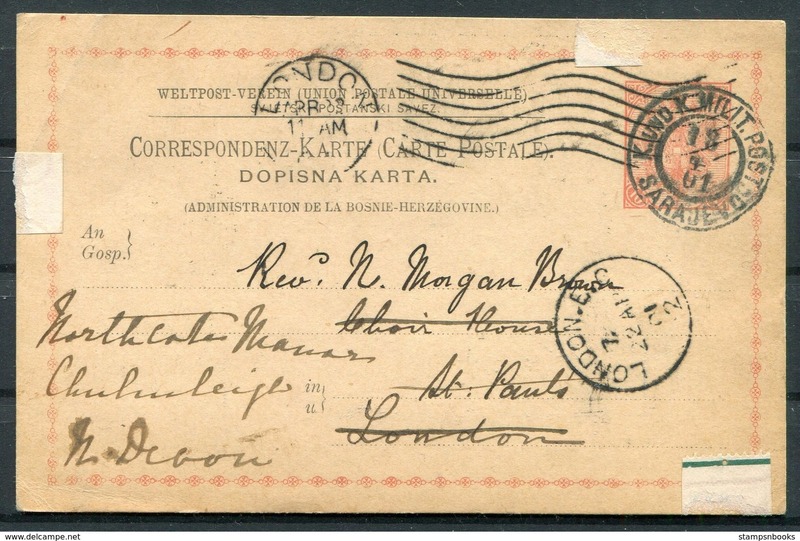 Bosnia 1918 Military Post 15 Heller Brown War Invalid's Fund stamp in fine used condition. 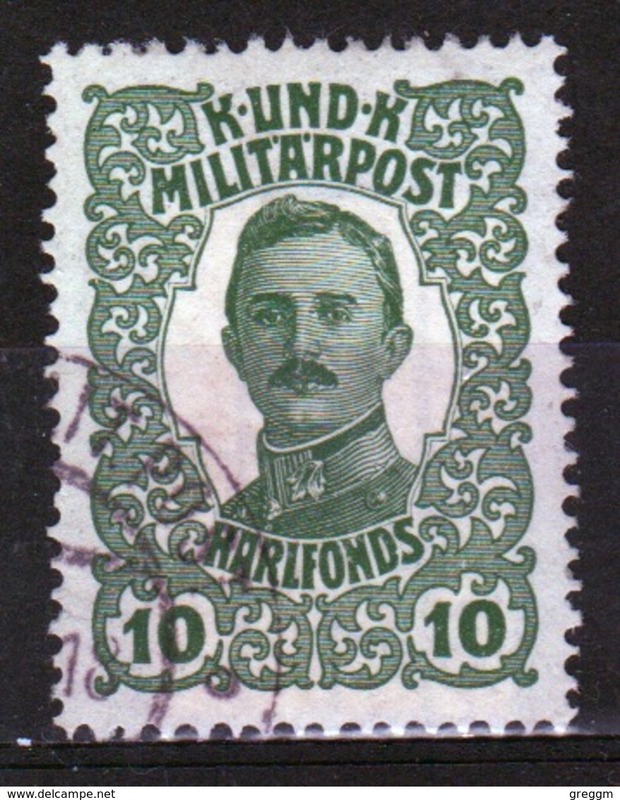 Bosnia 1918 Military Post 10 Heller Green War Invalid's Fund stamp in fine used condition. 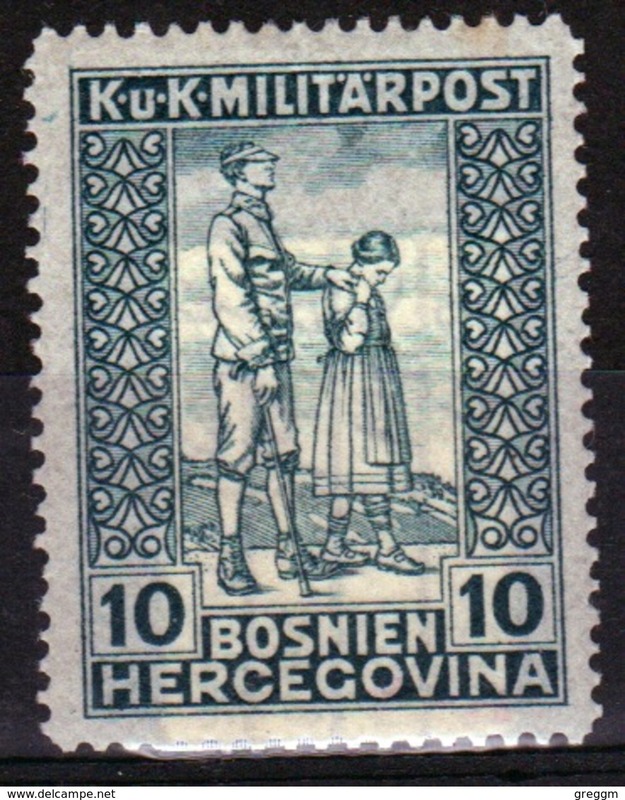 Bosnia 1918 Military Post 10 Heller Green War Invalid's Fund stamp in mounted mint condition. 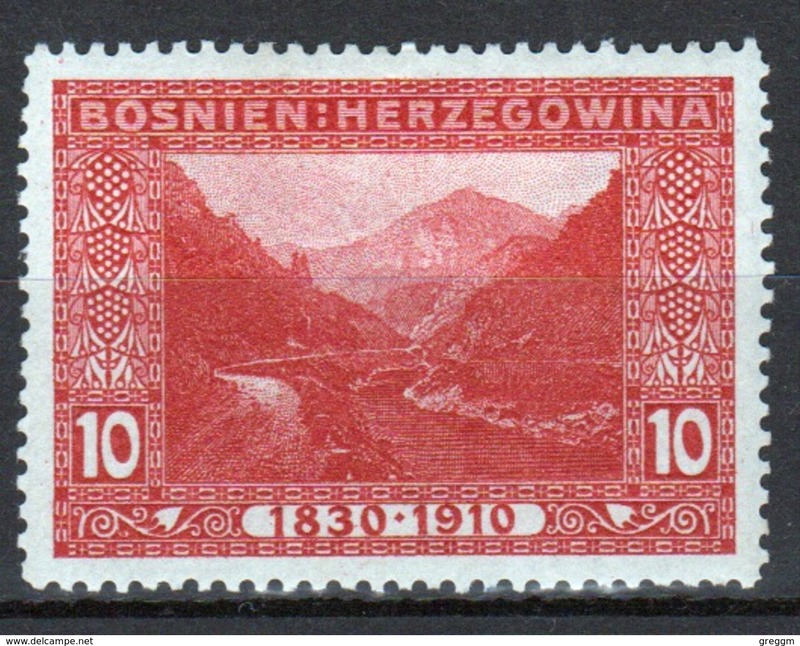 Bosnia 1910 Military Post 10 Heller Red stamp in mounted mint condition. 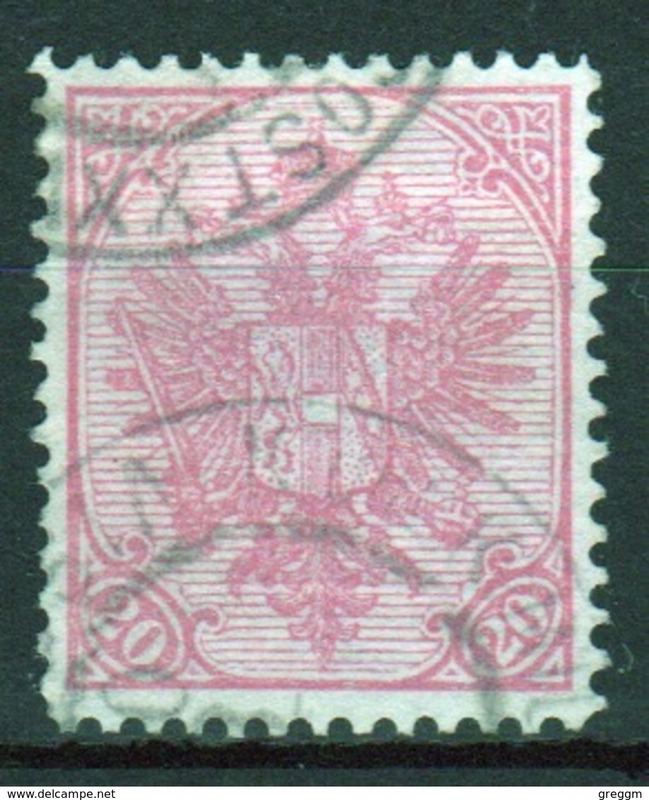 Bosnia Military Post 20 Heller Pink stamp with value in bottom corners in fine used condition. 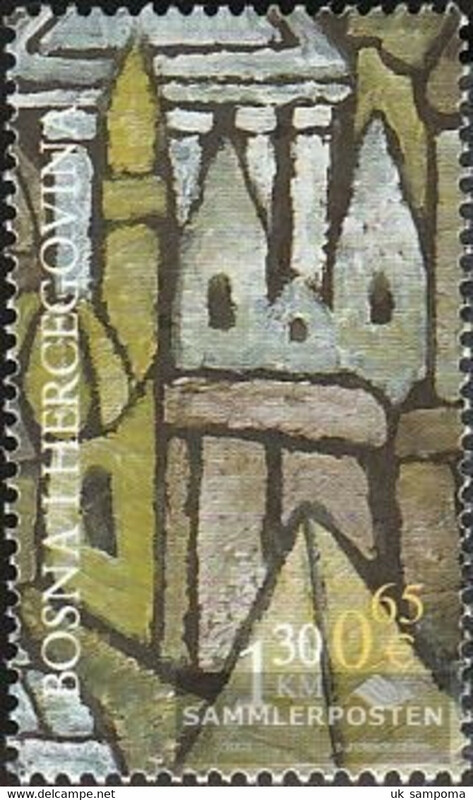 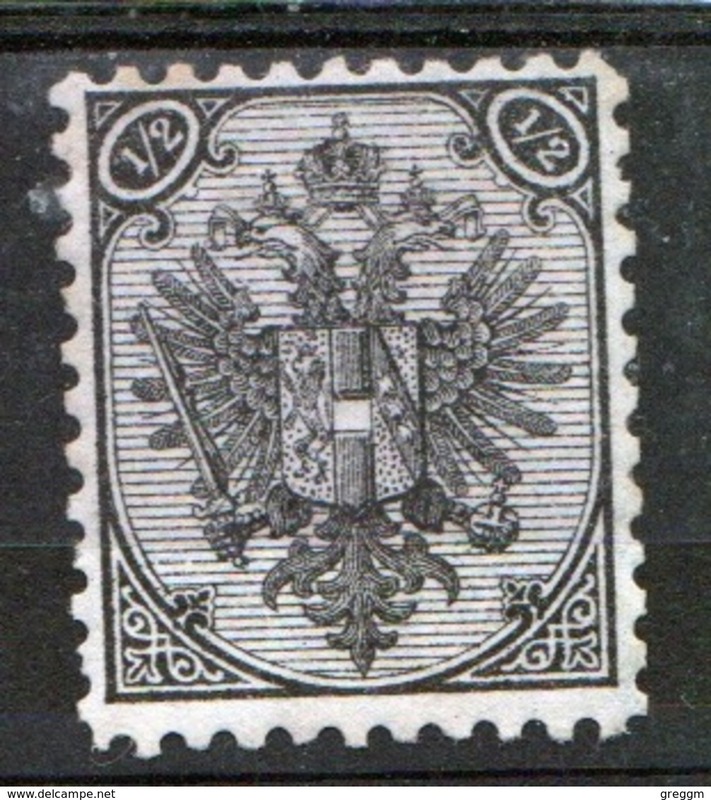 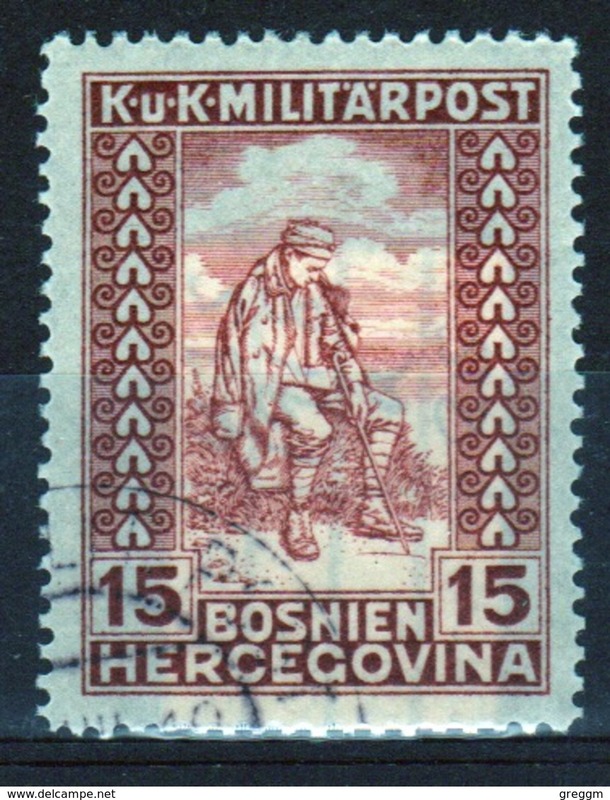 Bosnia Military Post ½ Kreuzer Black stamp with value in top corner in mounted mint condition. 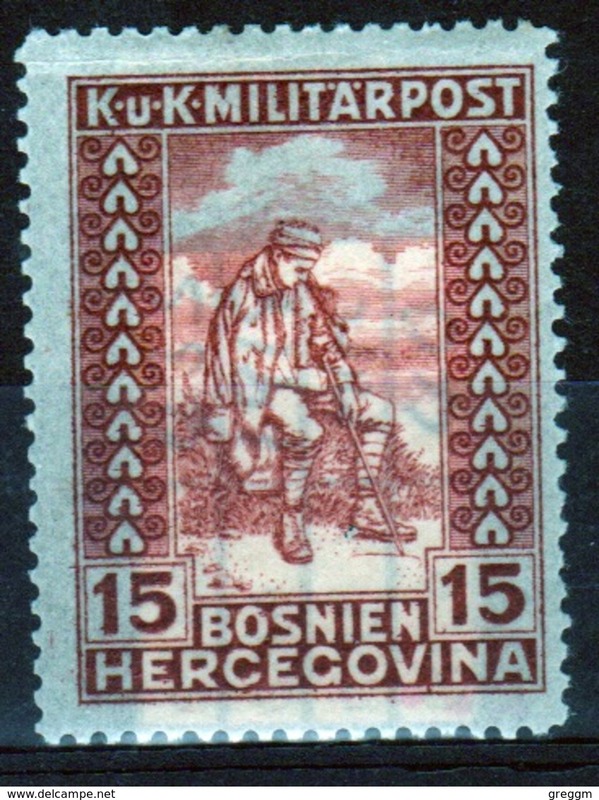 Bosnia Military Post 15 Heller Red Emperor's Welfare Fund in mounted mint condition. 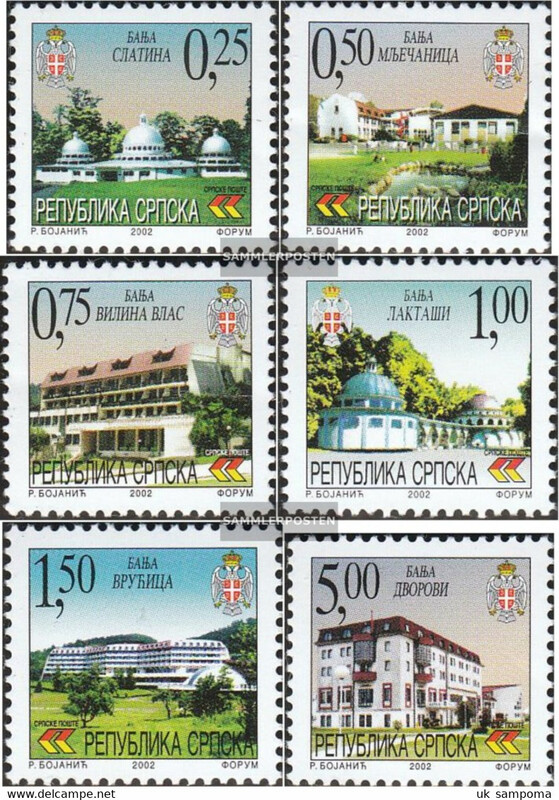 Bosnia Military Post 40 Heller Purple Emperor's Welfare Fund in mounted mint condition. 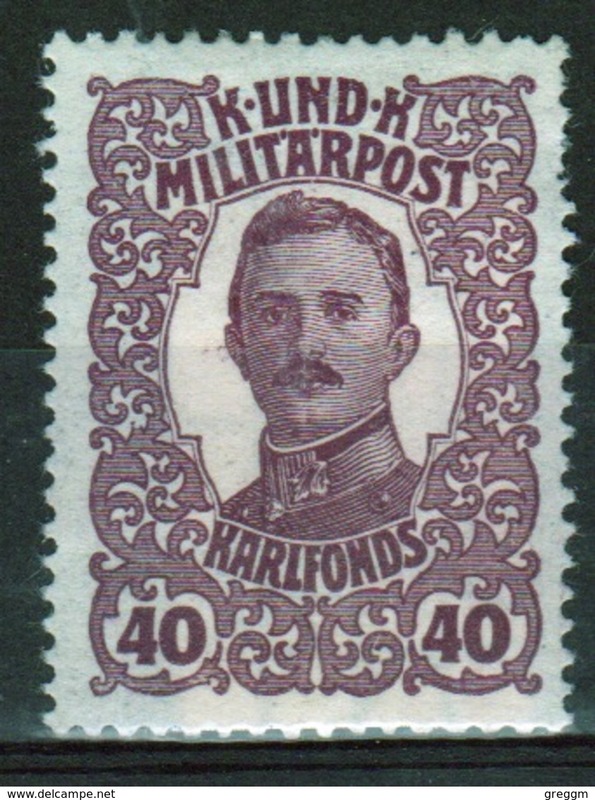 Bosnia Military Post 40 Heller Purple Emperor's Welfare Fund in fine used condition. 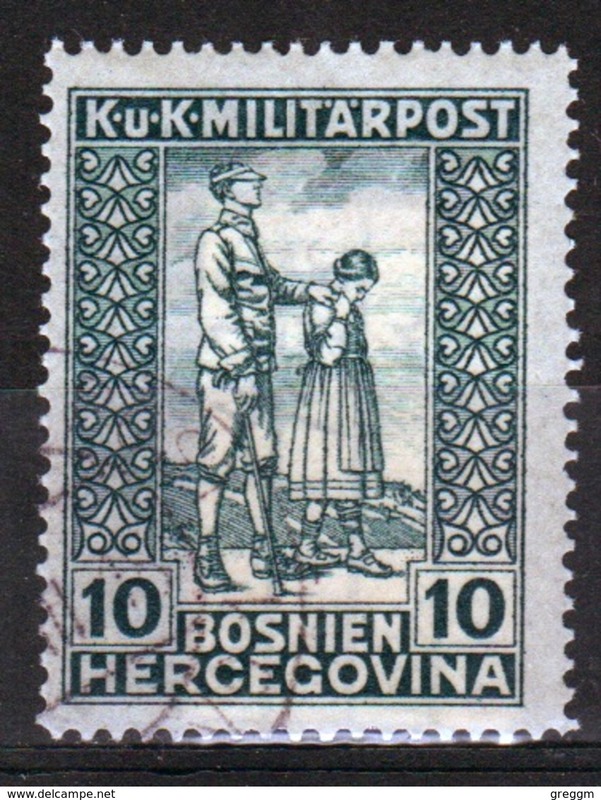 Bosnia Military Post 10 Heller Green Emperor's Welfare Fund in fine used condition. 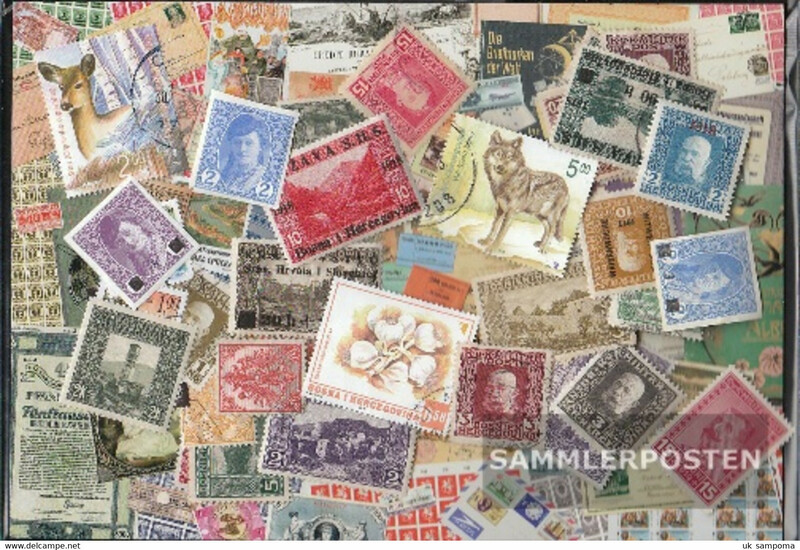 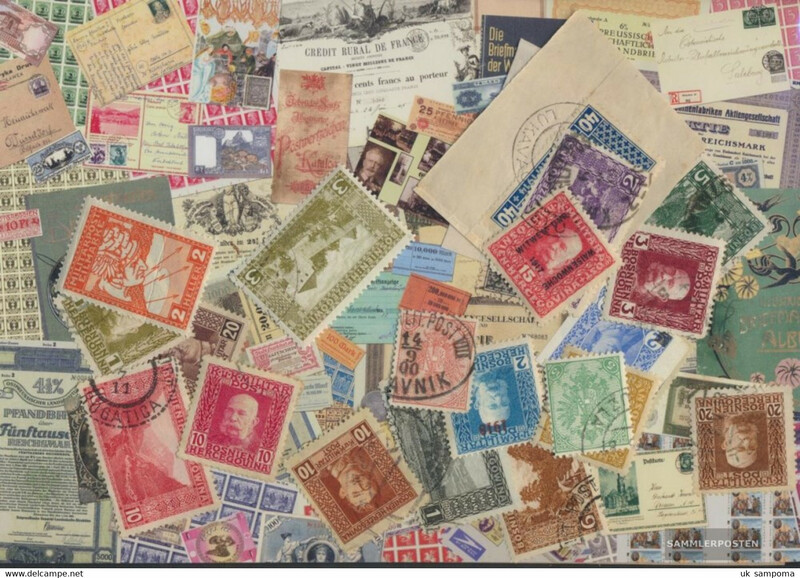 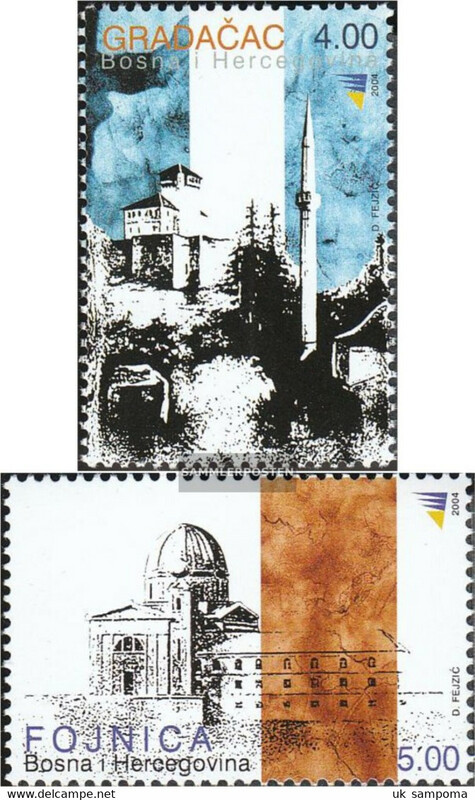 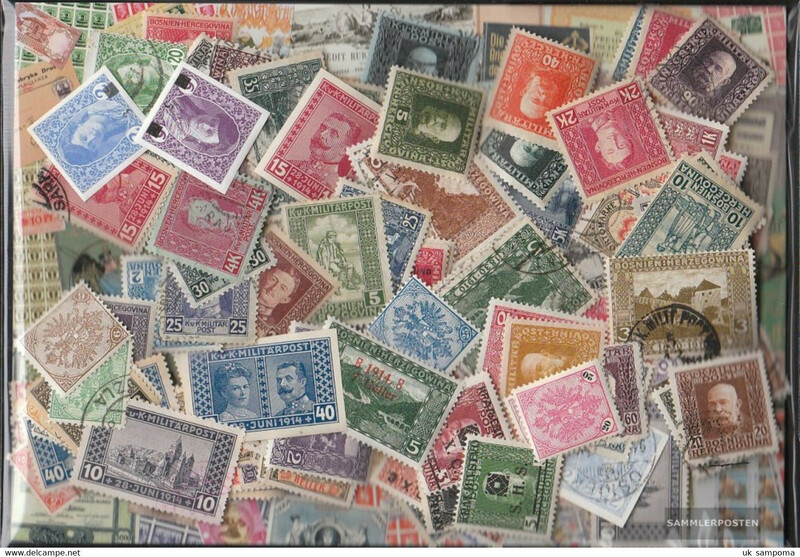 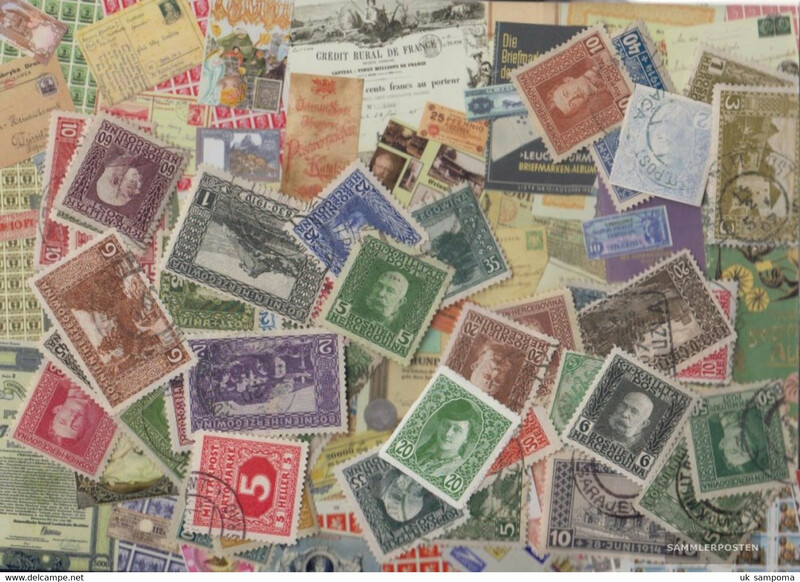 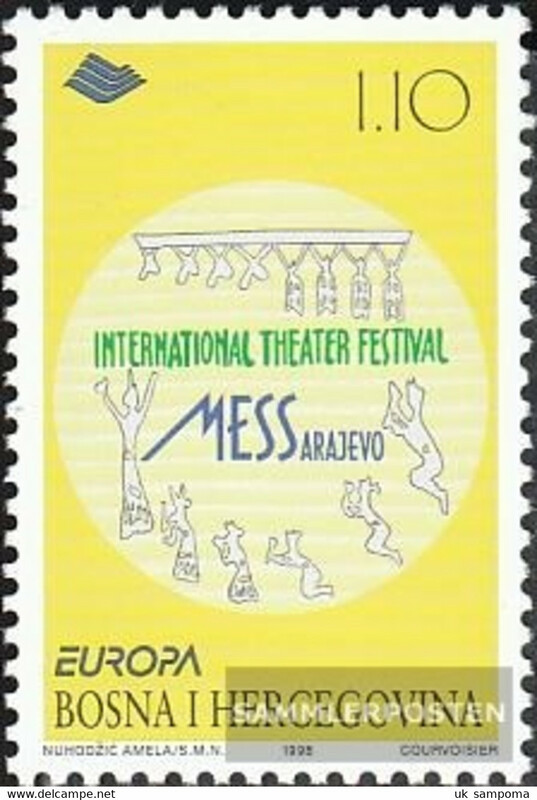 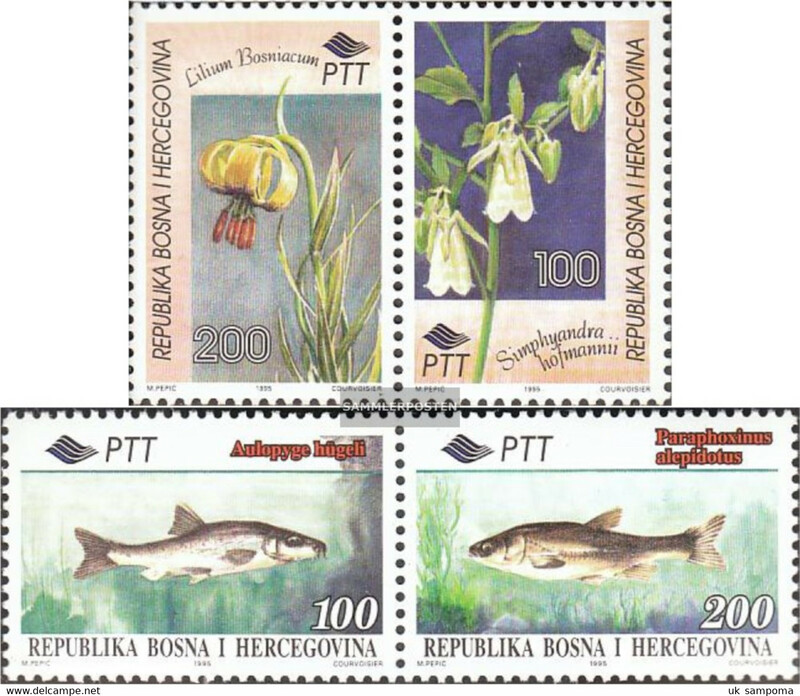 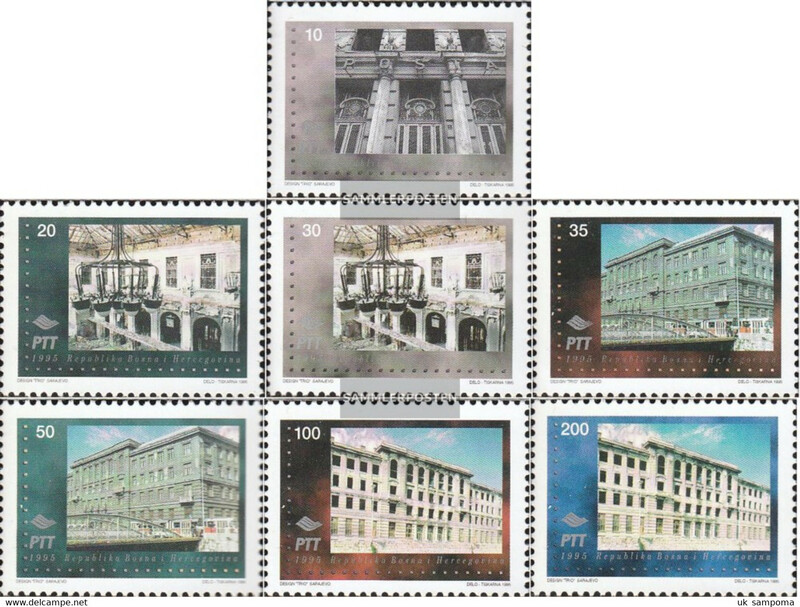 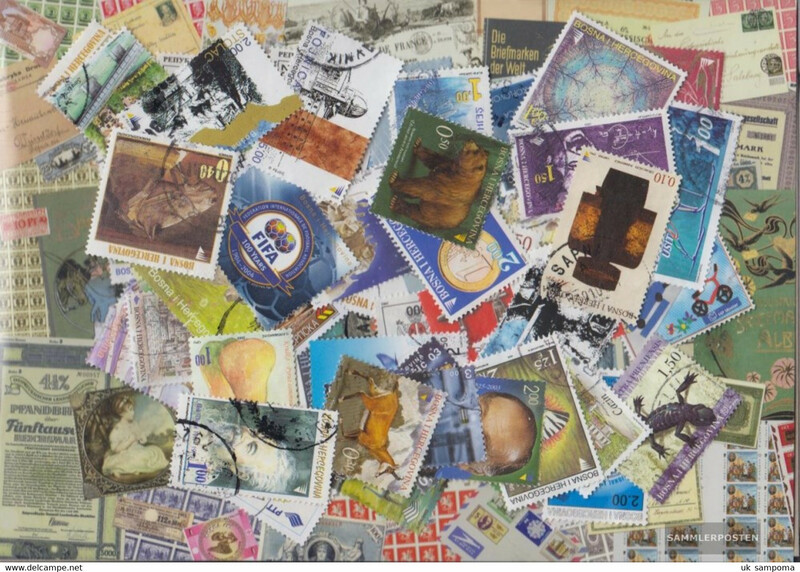 Bosnia Military Post small selection of stamps in fine used and in mounted mint condition. 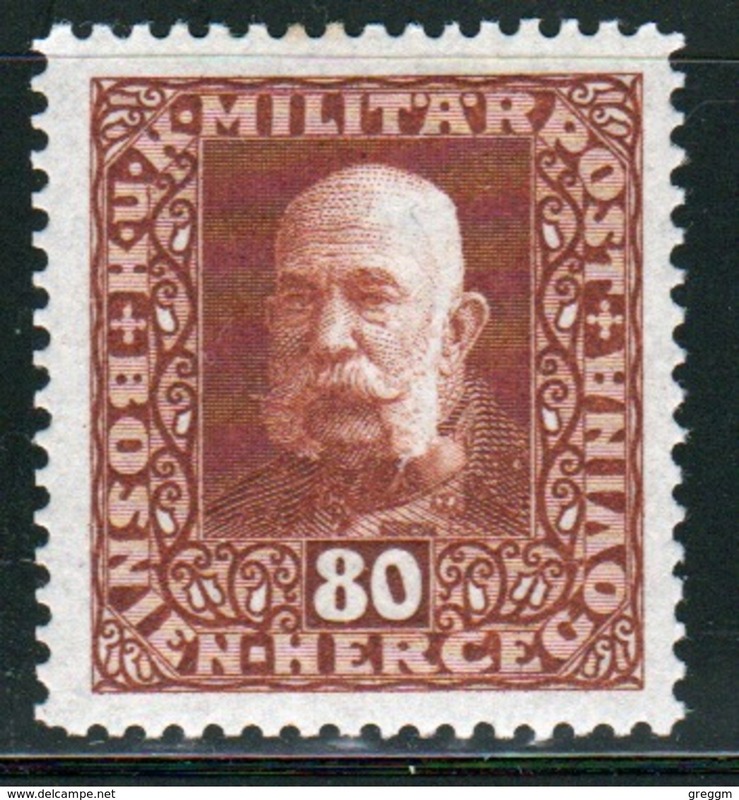 Bosnia Military Post 80 Heller brown stamp of Francis Joseph 1 from 1916 in mounted mint condition. 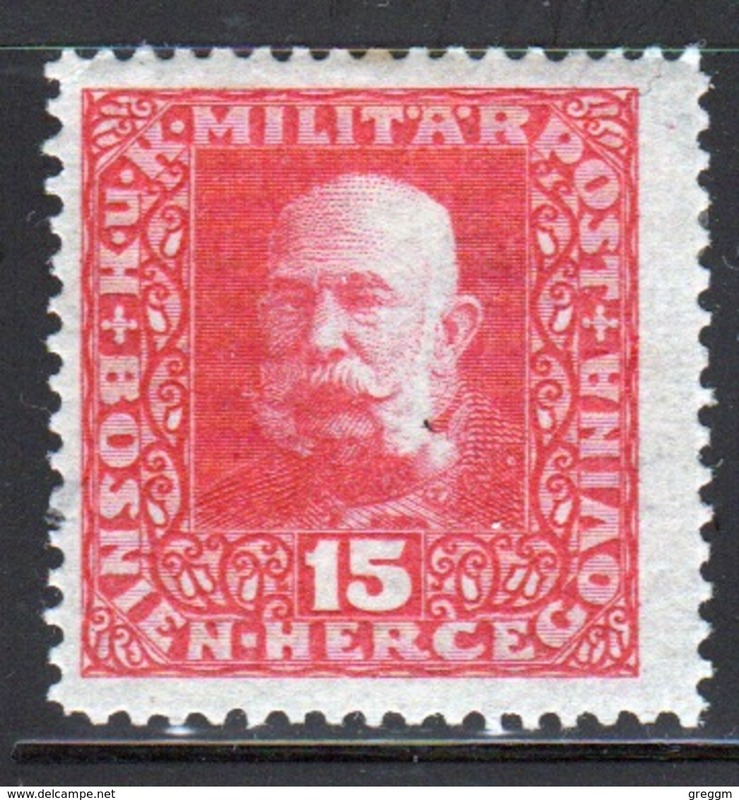 Bosnia Military Post 15 Heller Red stamp of Francis Joseph 1 from 1916 in mounted mint condition. 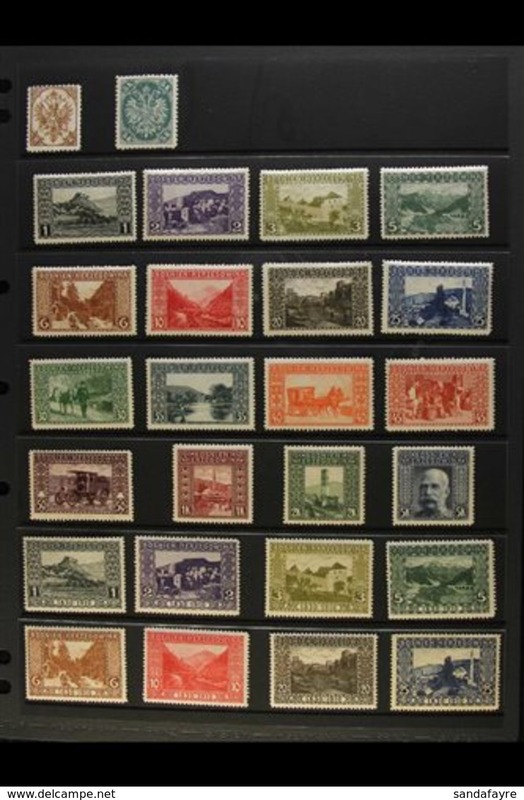 Bosnia Military Post Assassination of Archduke Ferdinand fund set of stamps from 1917 in fine used condition. 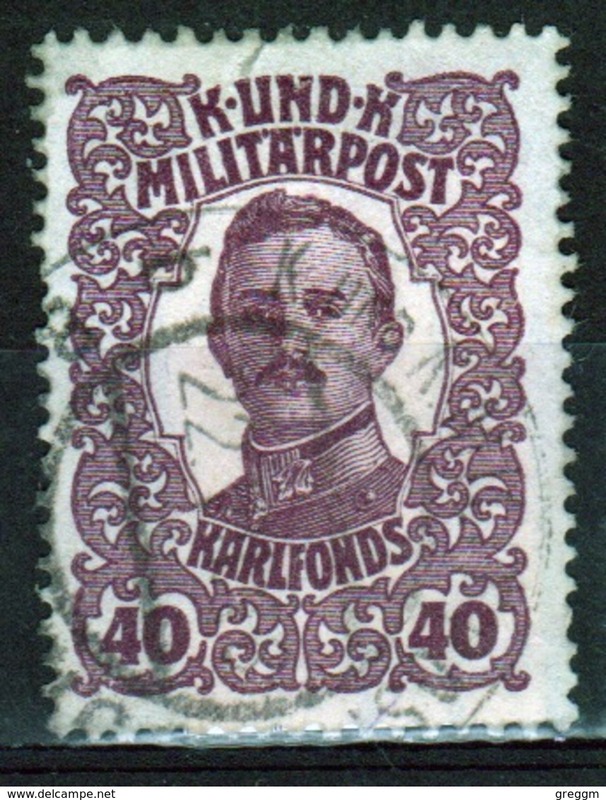 Bosnia Military Post War Invalids Fund 10 Heller purple stamp from 1916 in fine used condition. 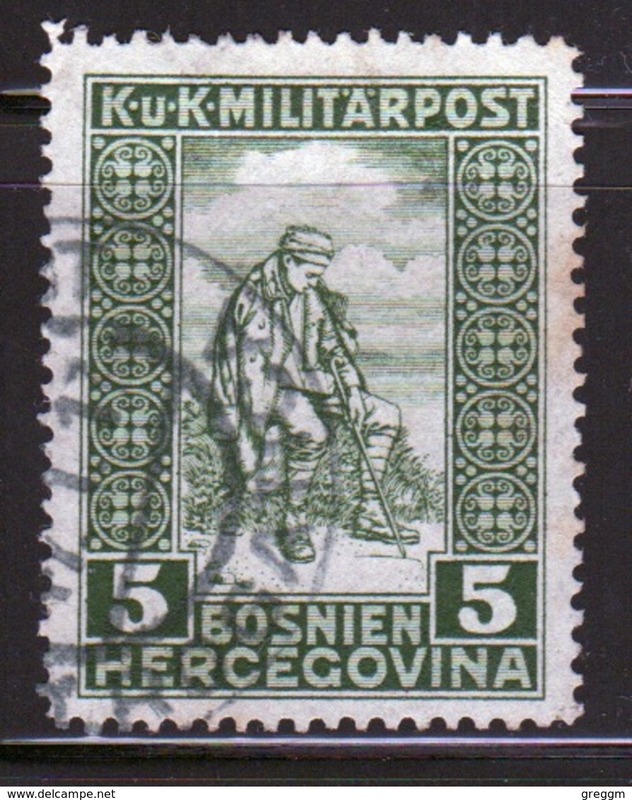 Bosnia Military Post War Invalids Fund 5 Heller green stamp from 1916 in fine used condition.